One of the best books I’ve ever read is the classic novel by Philippa Pearce and so I approached this David Wood adaptation with excitement and trepidation. Would the stage version capture the charm, wonder and emotive power of the original? The answer is an unqualified YES. Young Tom (David Tute) goes to stay with his aunt and uncle while his brother recovers from the measles. Virtually quarantined, Tom is bored and isolated until one night the grandfather clock in the grand house where his aunt and uncle rent a flat, strikes thirteen. Tom learns this is a signal for an enchanted time in which he is able to sneak out of the house and into a garden which no longer exists. There he meets Hatty (Caitlin Thorburn) who treats him like an imaginary friend or even a ghost. 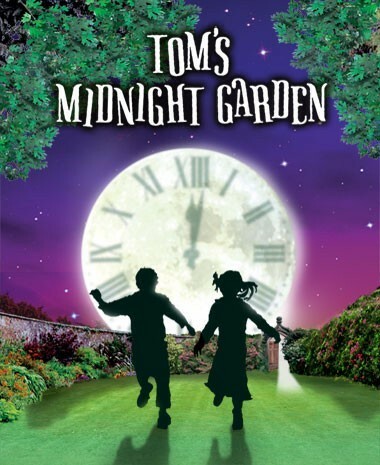 The plot gets all timey-wimey as it passes at different speeds for the two children but the action is kept clear by a tight script, that uses elements of narrative theatre to spark our imaginations with what isn’t shown on stage. Wood cleverly uses the device of Tom’s postcards home to his brother to reveal the character’s inner thoughts and feelings. As Tom and Hatty, Tute and Thorburn are captivating. The cast is rich with strong character actors doubling their roles. Helen Ryan is perfectly horrid as Hatty’s evil aunt Grace, and daunting landlady Mrs Bartholomew. Tom Jude is good fun as Uncle Alan and brings atmosphere as superstitious gardener Abel. Ed Thorpe contrasts his roles of brother Peter and cousin Edgar very effectively. Director Neal Foster makes the most of Jacqueline Trousdale’s flexible set, on which the actors use mime and minimal props to conjure the bygone age so that we see it clearly in our mind’s eye. It’s a spellbinding piece of storytelling aided by Jak Poore’s sweet and plaintive music, played live by cast members on and off stage. Above all, the story is king. It’s a tale of friendship and growing up and mortality that touches us all, made here into an enchanting and moving superior piece of theatre.